Nobel Prize-winning novelist Gabriel Garcia Marquez is suffering from dementia, which has made him unable to write, his brother says. 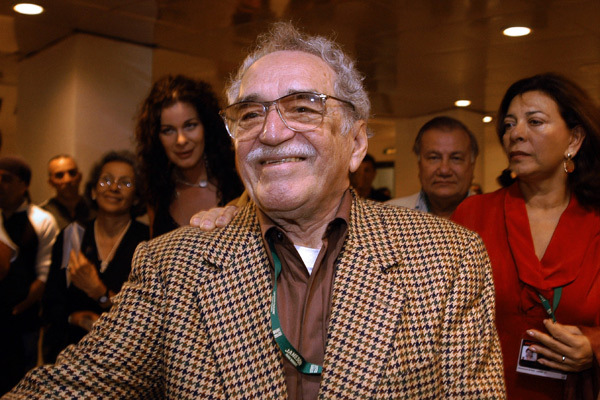 “Dementia runs in our family, and he’s now suffering the ravages prematurely due to the cancer that put him almost on the verge of death,” Jaime Garcia Marquez, the author’s younger brother, told students in Cartagena, Colombia, the Guardian reported Saturday. Gabriel Garcia Marquez, who is now in his mid-80s, is best known for his novel “One Hundred Years of Solitude,” first published in Spanish in 1967, which has sold more than 30 million copies worldwide. With it, he ushered in the genre known as magic realism, which combined fantastical elements and the real, and became closely associated with literature from Latin America. Read this rest of this disheartening article where Gabriel’s brother says the author is unable to complete his last story by clicking here. This entry was posted in Writing and tagged Dementia, Gabriel Garcia Marquez, Writing. Bookmark the permalink.